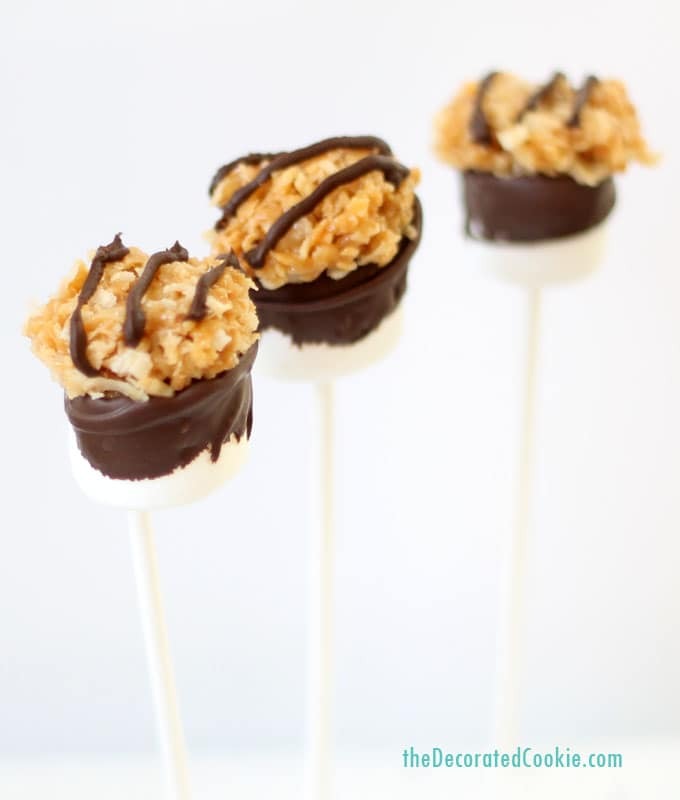 Girl Scout Samoa cookies turned into Samoa marshmallow pops, with caramel, coconut, and chocolate. My absolute favorite Girl Scout cookies are the Samoas. That coconut-caramel-chocolate blend is just perfection. 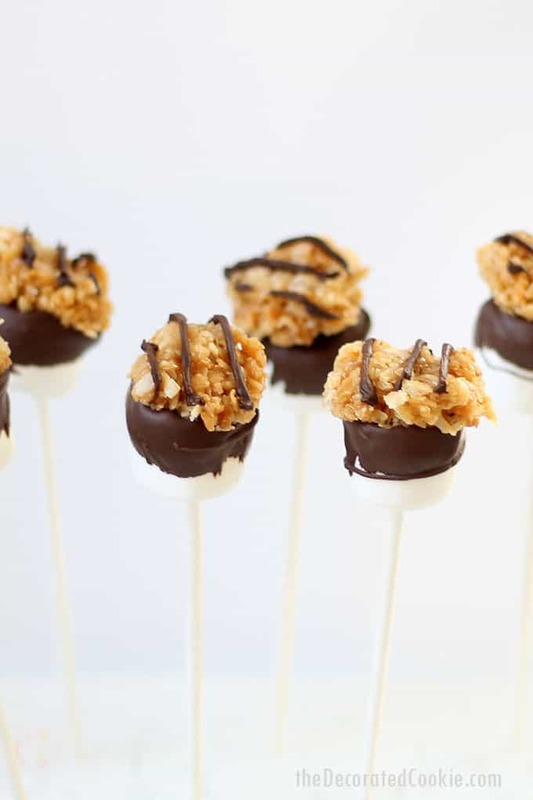 Luckily, I have a cookie dealer living in my house, in the shape of an 8 year old Brownie so I could make Samoa marshmallow pops. 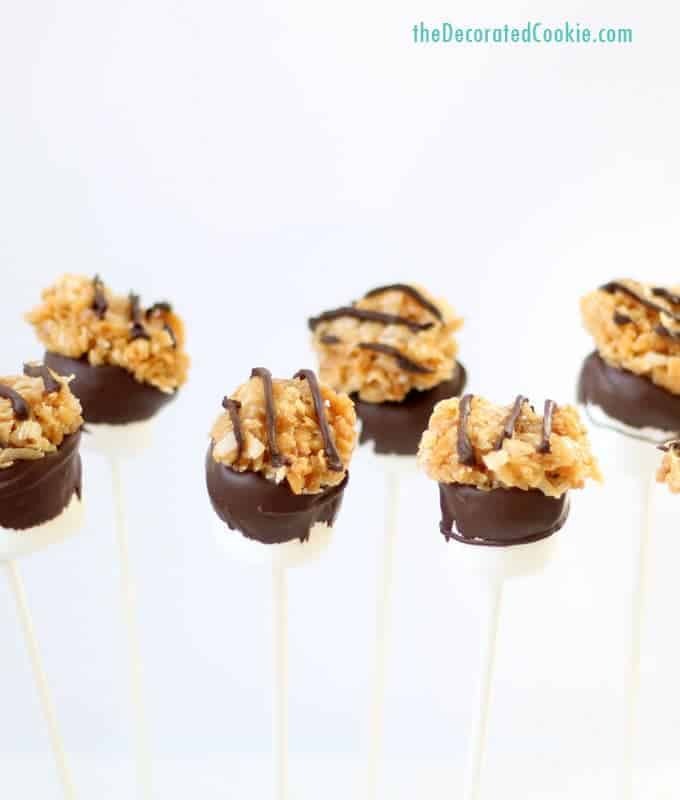 Here I turn the classic Samoa Girl Scout cookies into marshmallow pops. All the flavors, plus marshmallows. 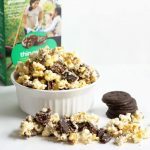 So even if you don’t have your own dealer, or your out of the Girl Scout cookie season, these will do until you get your hands on a box. One thing to note, to make these more manageable to eat, I trimmed the tops off of each of the marshmallows. You don’t have to, though. They’ll look even more impressive (if more cumbersome) using whole marshmallows. 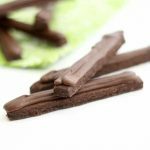 Next, I’m going to try turning Thin Mints into marshmallow pops. I already have a plan for that one. 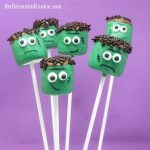 Preheat the oven to 350 degrees F. Skewer the marshmallows with lollipop sticks and set aside. 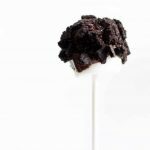 TIP: To make the final marshmallows more manageable to eat, you can slice off about 1/4 inch from the top of each marshmallow, if desired. 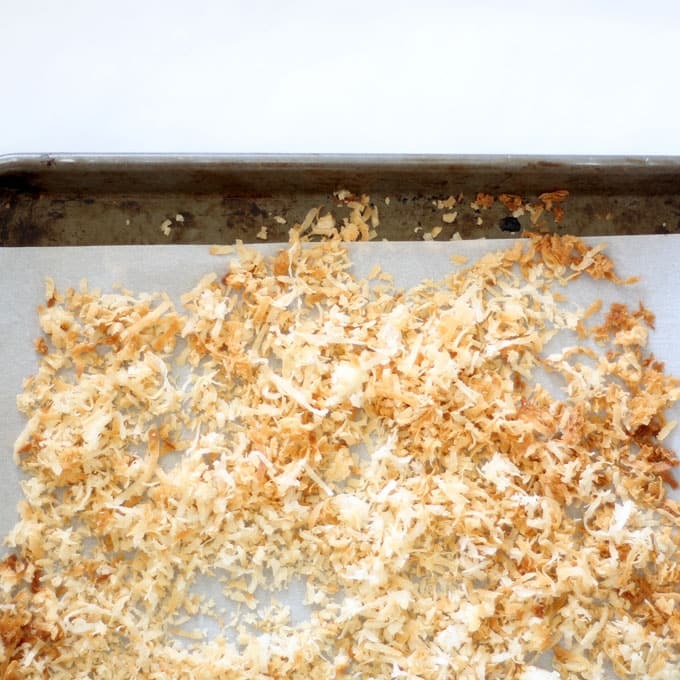 Scatter the coconut on a baking tray lined with parchment paper. Bake the coconut until golden brown, about 10 minutes. Watch the coconut closely, as once it begins to brown, it browns quickly. Stir the coconut every few minutes to prevent burning. Let the coconut cool a bit. Meanwhile, place the caramel candies, milk and salt in a microwave-safe bowl. Microwave for 90 seconds at 70 percent power. Stir well and continue microwaving, if necessary, for 15 second intervals until fully melted. 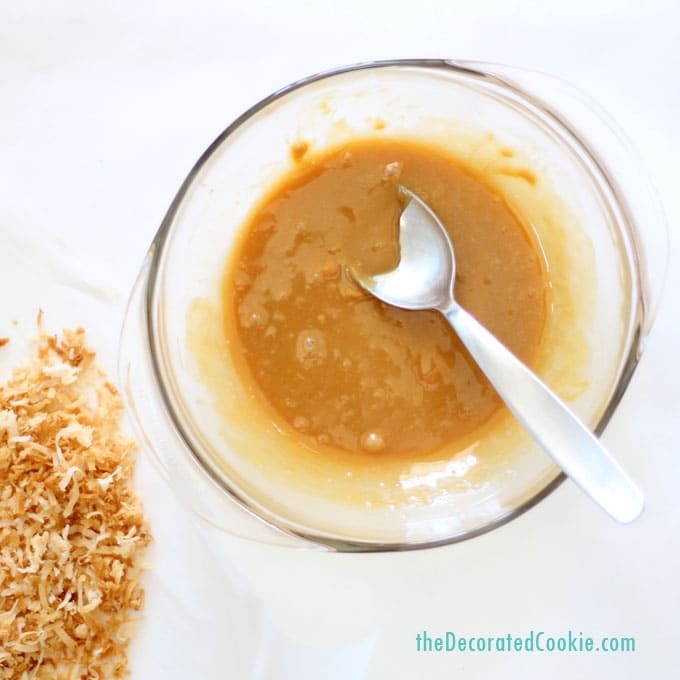 Gradually stir in the toasted coconut until desired consistency of coconut. I used all of my coconut, but you may use less. Line a baking tray with parchment paper. 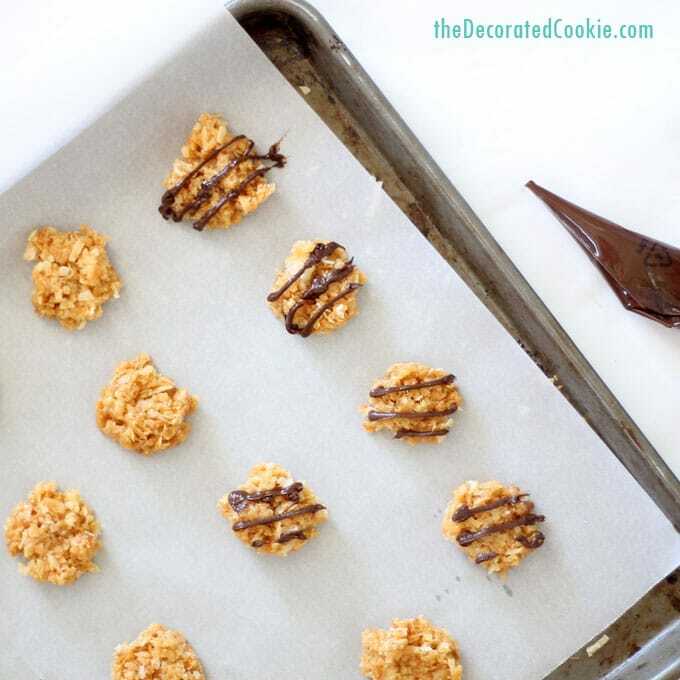 Shape the coconut mixture into patties about 1 1/4-inch across and place on the tray. Wet your fingers to prevent sticking. In a microwave-safe bowl, melt the chocolate just as you did the caramels. Pour a few tablespoons into a disposable decorating bag or ziploc bag. Snip the tip from the corner and pipe a few stripes on the coconut patties. Place in the freezer for several minutes to set. Remove from the freezer and overturn the patties. 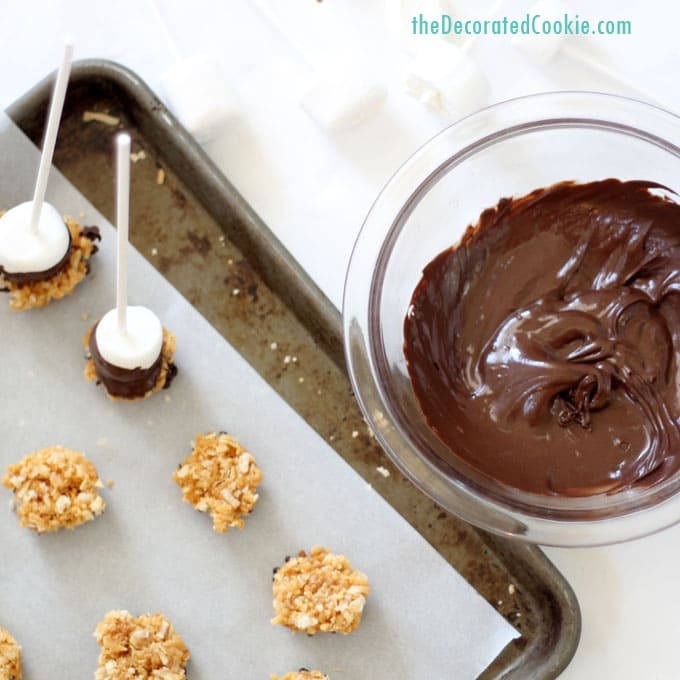 Dip the top of a marshmallow in the melted chocolate and place on top of a coconut patty. Repeat with all of the marshmallows. Let set at room temperature. 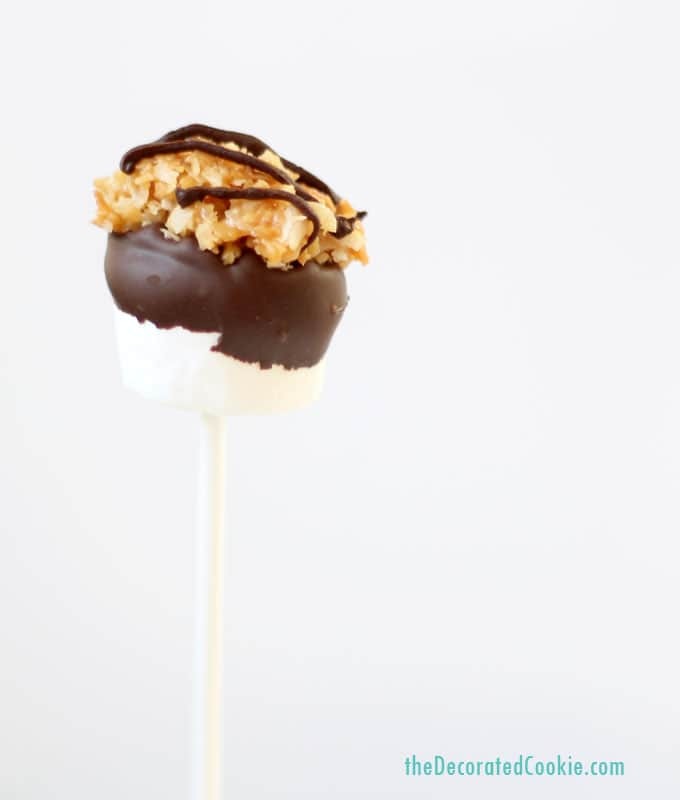 Preheat the oven to 350 degrees F. Skewer the marshmallows with lollipop sticks and set aside. TIP: To make the final marshmallows more manageable to eat, you can slice off about 1/4 inch from the top of each marshmallow. 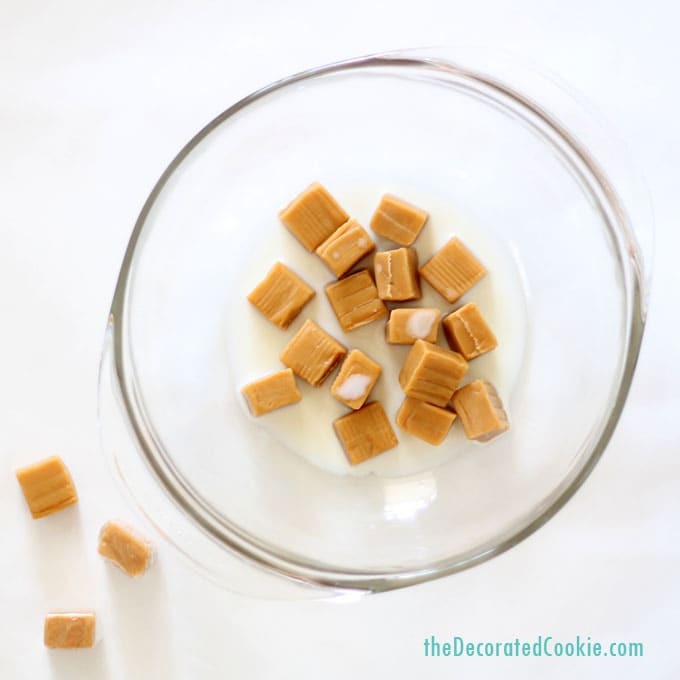 Meanwhile, place the caramel candies, milk and salt in a microwave-safe bowl. Microwave for 90 seconds at 70 percent power. Stir well and continue microwaving, if necessary, for 15 second intervals until fully melted. 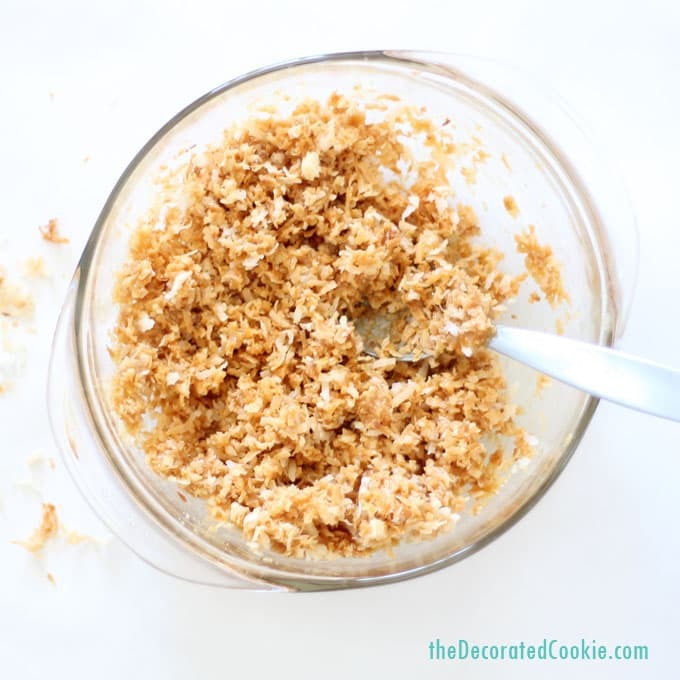 Gradually stir in the toasted coconut. *total swoon* Amazing idea! Thanks, luv!